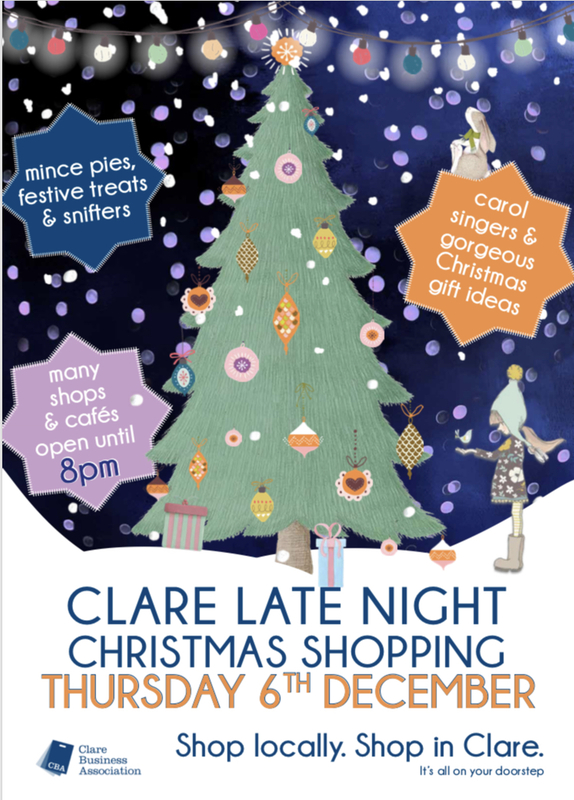 Suffolk author Liz Trenow to visit Clare. We are delighted to be welcoming Suffolk author Liz Trenow to Clare to talk about and read from her latest novel – The Dressmaker Of Draper’s Lane. Liz Trenow was brought up in the world of silk with her father, brother and now nephew successively managing the Sudbury company which is still weaving today after 300 years in the same family and it is this rich history that Liz managed to weave into her fascinating novels. For her first novel – The Last Telegram, Liz, a self-professed parachute geek, says ‘The silk information was easier because of my father’s experience. I was also privileged to meet some of the weavers, now in their eighties and nineties, who actually wove parachute silk during the war. We held a wonderful tea party for them at the mill and their memories were invaluable’. 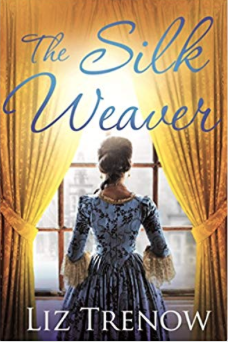 As in previous novels, The Dressmaker of Draper’s Lane includes appearances from real life historical characters such as Jane Hogarth (wife of the artist William), the King’s mistress Henrietta Howard and the actor David Garrick. Jane Hogarth was an obvious choice given their long association with the Foundling Hospital and because William’s sister was a dressmaker, much like Miss Charlotte. Visiting their house in Chiswick led the author to understand so much more about the artistic life of the period. Without Jane Hogarth, Miss Charlotte wouldn’t have met David Garrick, would never have gone to Henrietta Howard’s house and Liz would never have had the fun of writing scenes like their visit to Marble Hill. 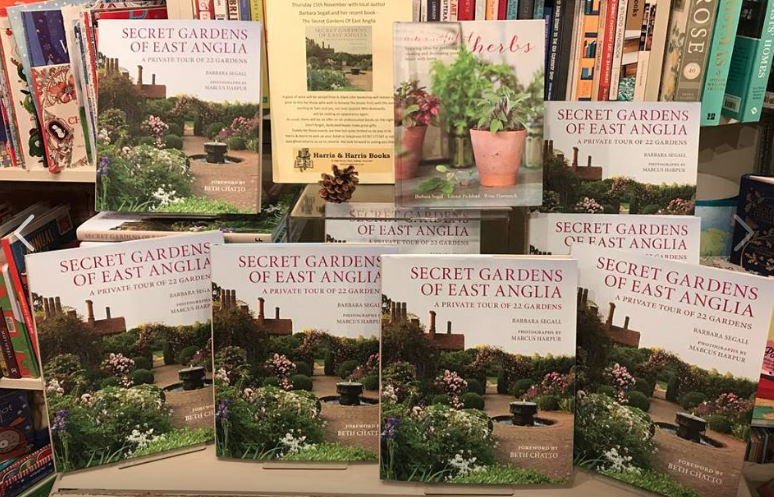 Our next Author On The Stairs event at Harris & Harris is on 15th November 🌸🌺 Pop in, call or email if you’d like to come along 📚The lovely Barbara Segall will be talking about her beautiful book Secret Gardens Of East Anglia 📚 Kickoff at 7pm 📚 Free tickets but very limited spaces so give us a shout ASAP to reserve. 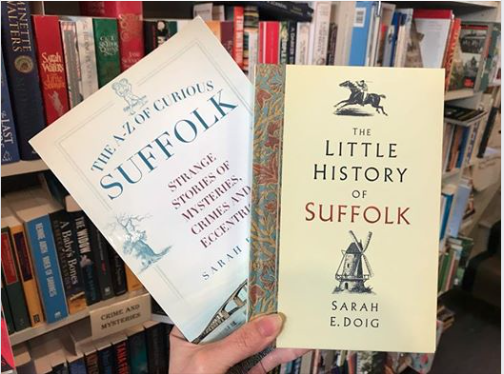 **Last few tickets ** for our forthcoming Author On The Stairs event with Sarah Doig on Thursday 25th October 6.30 for 7pm📚📚 Books, a snifter, chat about all things #suffolk and a discount on the night. What more can you want? Yes, there will be Mini-Bakewells. Pop in to secure your ticket 🎫 or leave us a reply here. As seen in East Anglian Daily Times. 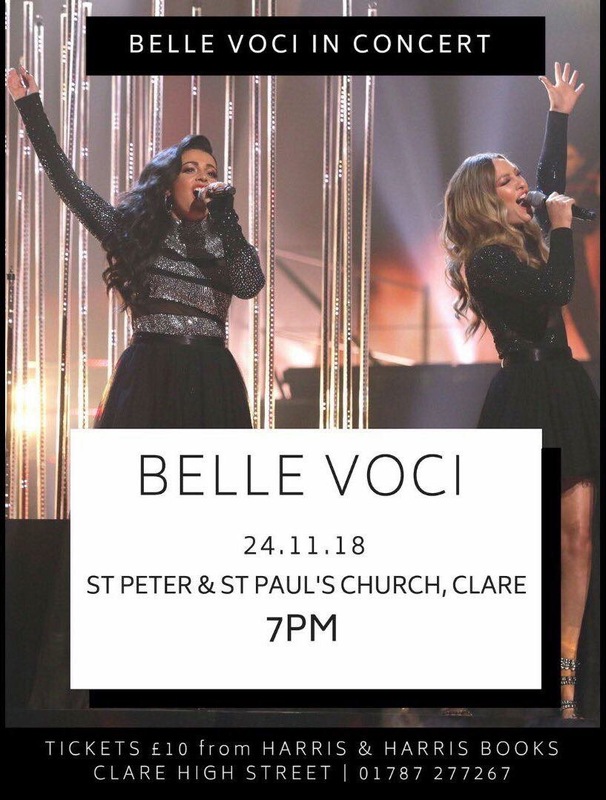 The extraordinarily talented Belle Voci are coming back to our town of Clare! Did you see them on The Voice where they were mentored by Jennifer Hudson? 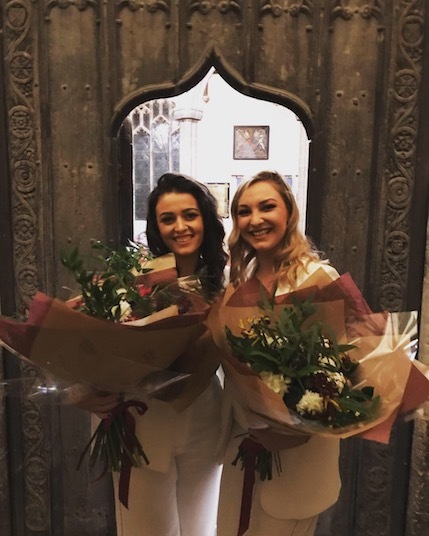 Concert on 24 November 2018 at 7pm in St Peter & St Paul’s Church, Clare, Suffolk. 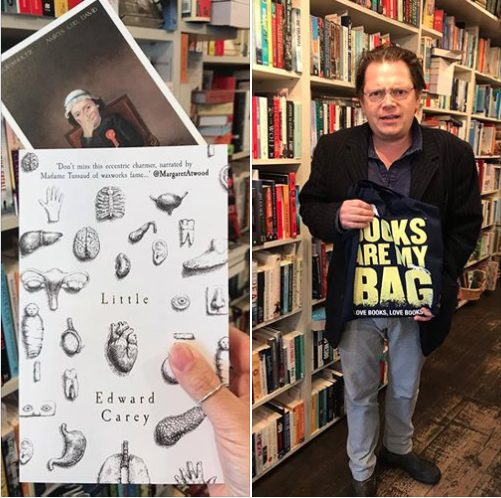 Still super excited to see Edward Carey in my shop last Saturday on #bookshopday2018 Unfortunately I had completely and utterly sold out of #little – (a novel based on a little girl who would go on to become the magnificent Madame Tussaud) so Edward kindly signed some postcards to go with todays delivery of new copies. 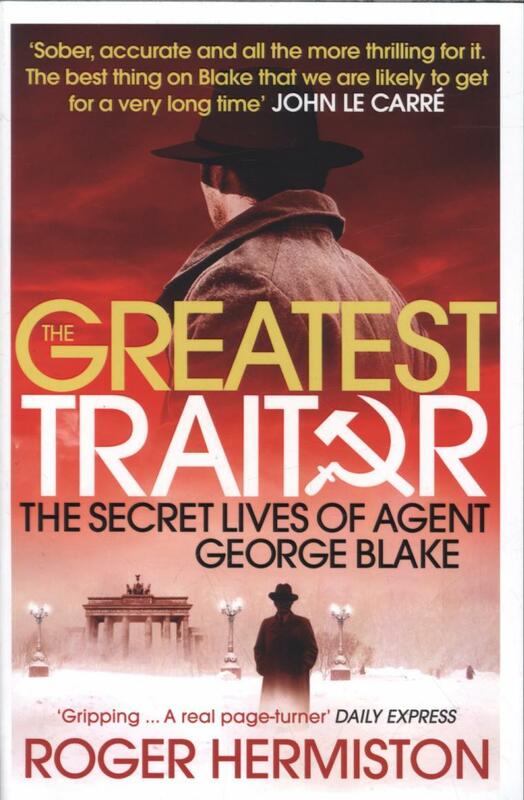 With the release of Ben Macintyre’s new book – The Spy And The Traitor, I am reminded of the day Roger Hermiston came to Harris & Harris to talk about his terrific book – The Greatest Traitor, a biography of Agent George Blake. This is a fantastic book that keeps the reader turning the pages. George Blake was present at many of the major political events of the 20th century, little did the UK SIS know that he was undermining them at every turn. In stock at Harris & Harris? What a splendid evening. Thank you to everyone who braved the heatwave to welcome Simon Edge as he discussed and read from his two books The Hopkins Conundrum and The Hurtle Of Hell. 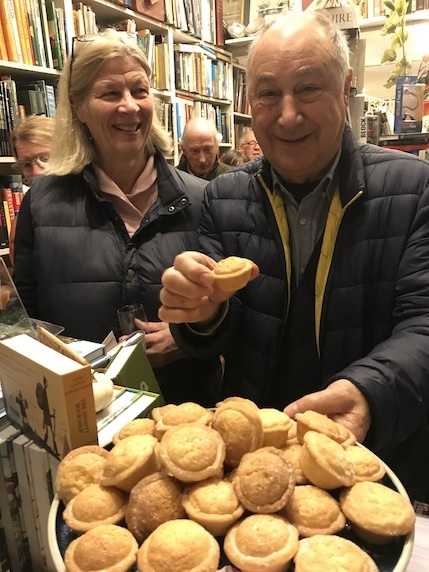 Snifters were quaffed, books were bought and mini-Bakewells were noshed. Smashing. 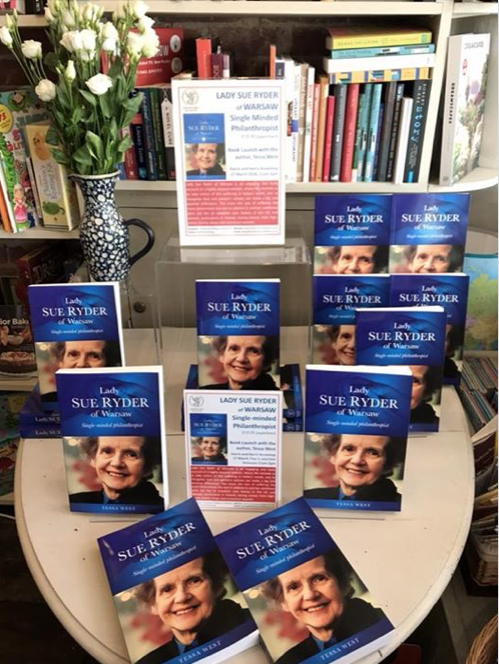 Local author Tessa West will be visiting Harris & Harris Bookshop on Saturday 17th March between 11am and 2pm to launch her new book – a biography of LADY SUE RYDER. All are welcome to just pop in and have a chat with Tessa. 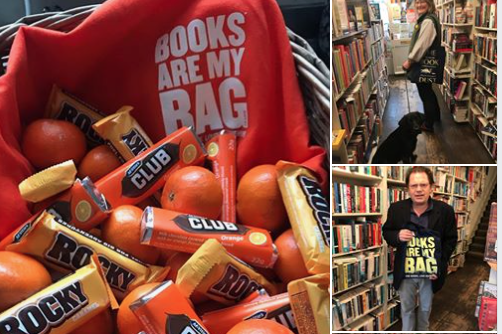 Kate Harris (of Harris & Harris Bookshop in Clare, Suffolk) has created a remarkable magnet for booklovers. Via an attractive on-line newsletter she keeps customers informed about upcoming events, special offers, services and book launches. She regularly hosts evening talks by writers, giving local readers the opportunity to put questions to them and also to have a chat among themselves. 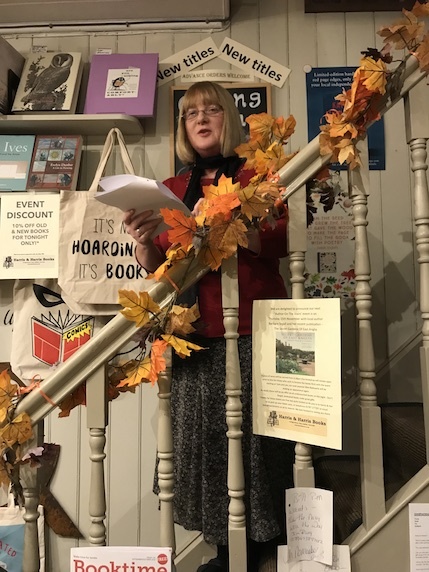 Her professionalism is apparent not only in the immaculate presentation of her shop, but also in the delightful eclecticism of the books on offer and her special personal engagement with the reading public.